You wonder how some things make it to the store shelves. Is it a desire to make a quick buck? Was it a great idea that a marketing department mangled beyond recognition? 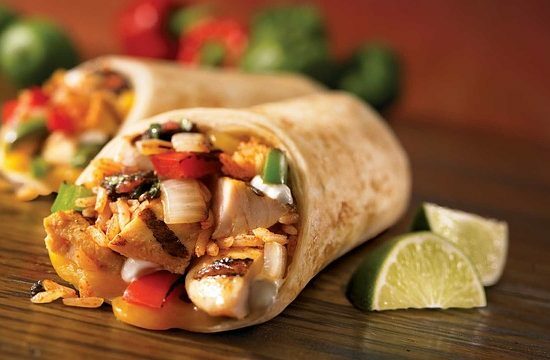 To me, these are the victims of the Bad Burrito Syndrome: a good idea that comes in the middle of the night – often brought on by indigestion – that don’t translate all that well once you’re awake. Our third annual Bad Burrito Awards winners didn’t allow that to stop these products from actually being sold. Looking for answers? If finding the right gift is a problem, maybe you need help from the “Answer Me Jesus” from Perpetual Kid. It combines the sacredness of a pink replica of Jesus with the fun of the classic Magic 8 Ball. In the same vein, Westerham Brewery capitalizes on the slave-fighting quest depicted in the movie “Amazing Grace” with Wilbur Wilberforce Freedom Ale; or, just look for the more simply-titled God’s Wallop Beer. Faith on your sleeve. Does the American flag as clothing make you uncomfortable? A recent ad promoting Jesus as T-shirt art from CMU International may also be questionable, even if “after three years of working on religious and secular drawings, only one had the power to elevate people’s consciousness and feelings.” Sales update: they are having trouble screen-printing Jesus. Of course, you can also combine your clothing and a statement about drinking with a “Heavy Drinker” t-shirt from a variety of companies. If the viewer gets around to reading the back of the shirt they will see John 7:37 written out. And let’s not forget the kids! Teach them about faith each night when they put on their Armor of God PJ’s, for both boys and girls, complete with a shield pillow. Faith on your coffee table. If you feel people can’t relate to the image of a crucified Jesus, consider figures of Jesus running for a touchdown, riding a bull, riding a motorcycle and more – all while wearing a crown of thorns. Faith in your toy box. Why settle for an action figure, when you can give your figures some action? That’s what you’ll get with rock-em, sock-em…nuns? That’s right, nun-punching puppets with fist-controlling levers. You can also gather the family around the Salvation Challenge board game “that is taking the Christian world by storm.” A video intro reminds you that you can only be saved once. More games coming! Fish: The next generation. First there was the fish icon for cars. Then evolutionists added legs and the word DARWIN. Now you can get the Christian symbol as a magnet with BUSH in the middle and the stripes of the American flag in the background to show your love for God AND country. And, the site states they do not suggest the President is devine. Wrap up your selections. When you’ve purchased and wrapped your gift selections, don’t use transparent tape. Instead, buy Jesus tape with 82 feet of adhesive helpfulness from Archie McPhee. There is nothing wrong with sharing your faith. Nevertheless, how it’s done can sometimes be questionable. May your Christmas be not only Merry, but Meaningful. Ken Satterfield is Word&Way’s advertising and marketing coordinator. He welcomes your product suggestions. By the way, inclusion in this article does not constitute an endorsement.